Okay, get ready. This post is going to involve a lot of scrolling. But also, pretty pictures of evil things that are also kind of cute! 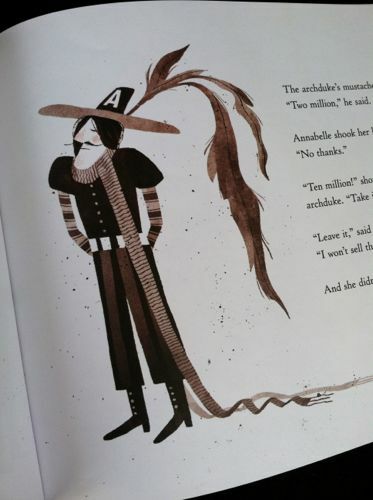 Jon Klassen has written and illustrated some serious bad guys in the last few years. And these are like for-real not-kidding-around villains. I’m talking murderous animals. I’m talking evil archdukes who steal happiness and yarn from little girls. 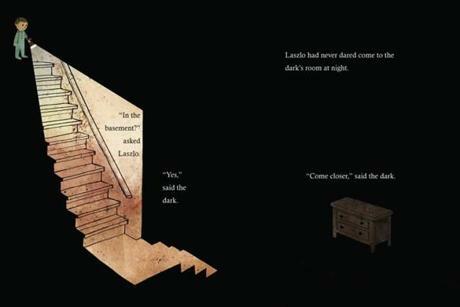 And I’m talking darkness itself. All four of these books are brilliant (so is pretty much everything this guy has ever made. 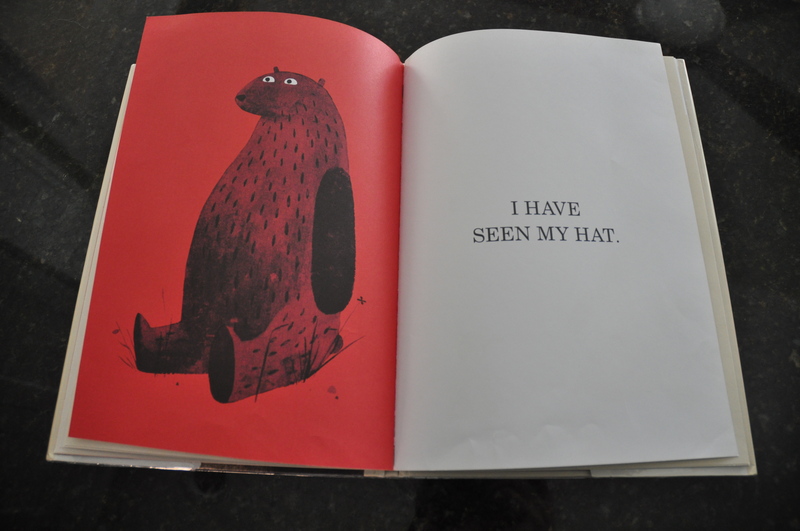 Seriously, check it out), but for me the real magic is all in the eyes in I Want My Hat Back and This Is Not My Hat. What makes good people do bad things? Just watch the bear’s eyes widen and the fish’s eyes narrow and you’ll have the answer. I Want My Hat Back features a bear bereft at the loss of his hat. No one has seen it anywhere: the turtle hasn’t seen it. The snake hasn’t seen it. And the rabbit DEFINITELY hasn’t seen it. Alone and cold-headed, the bear resigns himself to life without his hat when suddenly he realizes— And then, bloodshed. 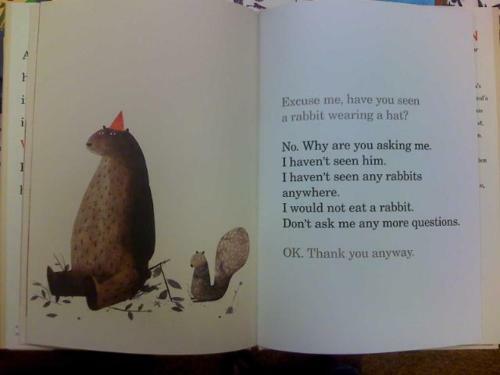 But off screen, don’t worry, this is a book for five year olds. Five year olds who frequently conjecture, when they see another bear and rabbit standing together in Extra Yarn, that all is well, and bears do not eat rabbits. Sorry kids. Bears eat rabbits. Also, big fish eat little fish. 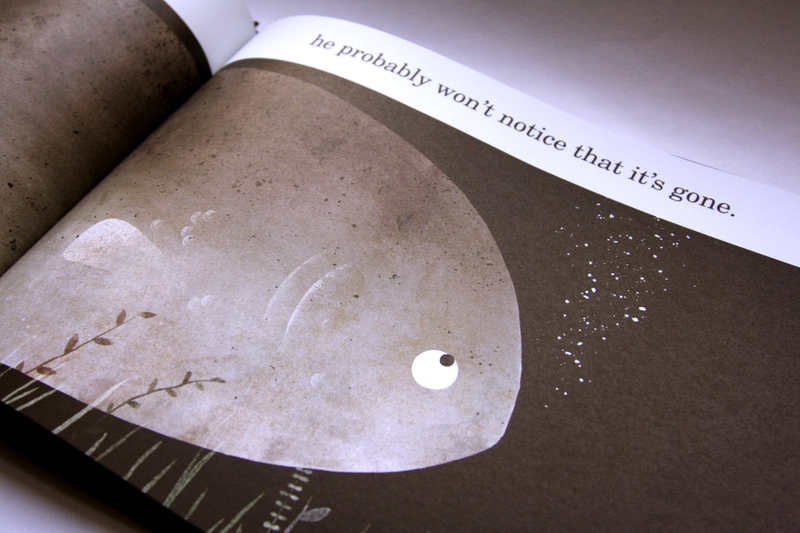 This Is Not My Hat is narrated by the little fish in question—a little fish who is wearing a little hat that is not his own. The little fish freely admits to his thieving ways—”This hat is not mine. I stole it,” he says on the first page of text—but, he thinks, if he swims fast and far into the weeds, the big fish he stole it from will never know. Listen to that unapologetic thief and then look into that big fish’s eyes and tell me he’s not justified in committing murder. 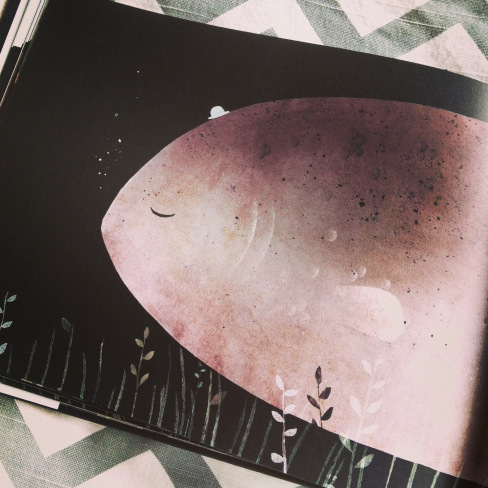 This entry was posted in October 2014 and tagged bad guys, cute animals, jon klassen, Left Bank Books, murder, October 2014, picture books, villains. Bookmark the permalink. ← This time, we’re the villains.